As you can imagine, I always push clients toward presentation-friendly, poster-style slides. It's kind of the job, y'know? But when a presentation deck overlaps with a business report, the equation changes: while my client may be planning to present their report as live slides, ultimately the deck will be left behind with their client and spread around to all manner of folk. In these cases, context can’t simply be left to speaker notes. Believe me, it would be delightful if the time existed to build two deliverables, one a compelling presentation and the other a thoroughly detailed report. Delightful, I say! But that's almost never the case. Client X was developing a robust, year-end report for a high-profile client, with a number of business facets being analyzed across multiple sub-clients. This meant a ton of data analyses that would be repeated throughout a slide-heavy report. Chart data needed to be clear and concise, but also contained to allow for numerous callouts and learnings. Here, I’ll be focusing on the development process for a particularly troublesome, repeating slide, with a particularly troublesome chart. Shall we? Automated table design is never the right call. Aside from the general clunkiness of PowerPoint's standard table styles, this feels like an open admission that there was no time to involve a designer in the process ... which is often the case! 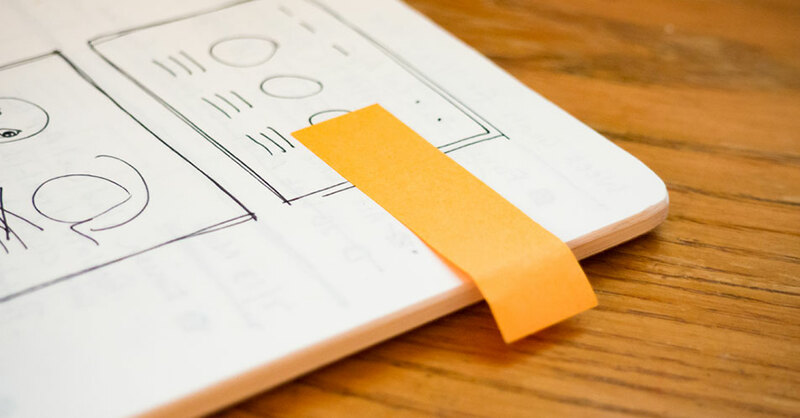 But small, easy changes like this can give a client a little more instinctual faith in the quality of your in-house design, and hence, their eventual deliverables. Awkward, oblong circles to highlight data sets. Admittedly, this one is a personal thing. While it’s easy and sure, you could make a case for occasional necessity, it just always strikes me as inherently awkward, and worthy of more exploration from a design standpoint. So we’ve got our basics and diagnosed some design problems. How did we address them? Alright. So what did we do with the first iteration? For starters, I restyled that clunky table. In this case, I went with open edges and simple adjustments in line weight for distinction between rows. I also rearranged the column structure, called out the actual numbers, and included the icon identifiers for the particular sub-clients. Now we’ve got simple, single rows of information that are quickly scannable throughout our massive report. Why Do I Hate This Chart? And I did hate it. That's a big problem for an element that would be repeated throughout the deck, over and over again, setting the informational tone for most of the sections. That dotted line is a baseline. Why was this making my brain twitch? Because if you’re like me, you assumed that that was a trend line, especially since there are no numbers anywhere on the axes or with the data points themselves to give context. That’s a safe assumption we can make for the average viewer. Moreover, we inherently associate the quadrant positioning on a scatter plot with a push-pull, good-bad dynamic. It should mean something to the viewer that one data point is in the bottom left, and another is in the upper right. In this case, it mostly didn’t. The only thing that mattered from a data-story standpoint was how much vertical distance there was between a given plot point and the dotted line; who moved the most from their baseline. That’s where we get those blue numbers in the table. From a viewer standpoint, the added “noise” of position along the horizontal axis is more confusing than helpful to our immediate, instinctual attempt to interpret the data in front of us. So we had the wrong chart? In this first iteration, we kept the data in the original, alphabetical order in which it had arrived, which allowed us to keep the logos (they didn’t consistently crash together in this order), and added the actual values to the y-axis. This approach cost us the logos but provided a streamlined, less busy chart with achievement clumps and more easily highlighted data. Further, I removed some extraneous design elements, and added header rows to the table, fiddled with the hierarchy of both text and color, and matched the over- and underachieving color identifiers to our new graph. 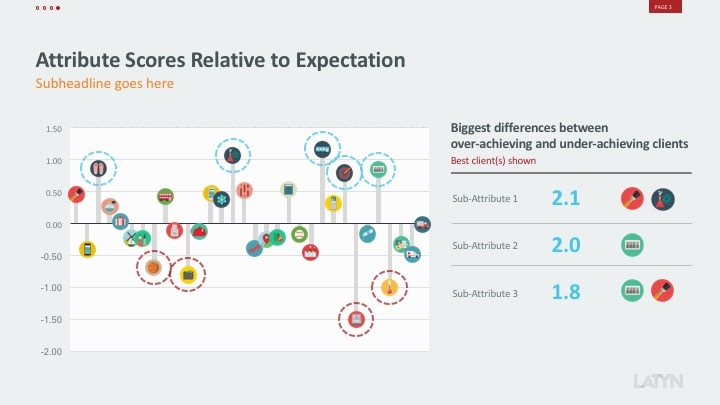 For the client's part, they provided a "big insight", declarative slide title as opposed to a generic description of the chart itself, and carried that throughout the deck. While a rote business report might avoid doing this with titles, it's a great play for this "combo" deck. 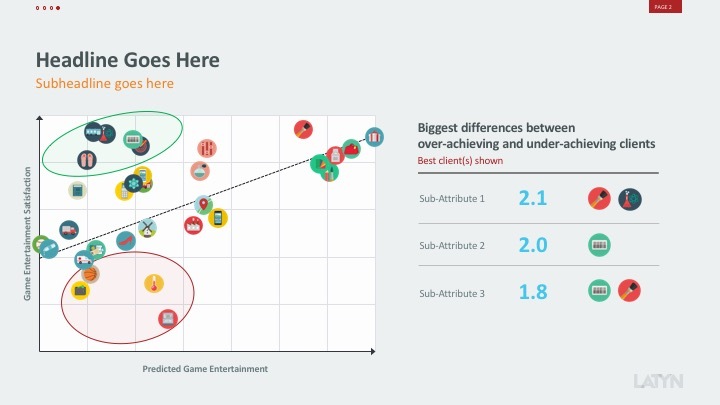 It provides quick and memorable takeaways in the live presentation, and leaves us a little more space to play with for all of the secondary insights we'll occasionally need to pepper into the slides. 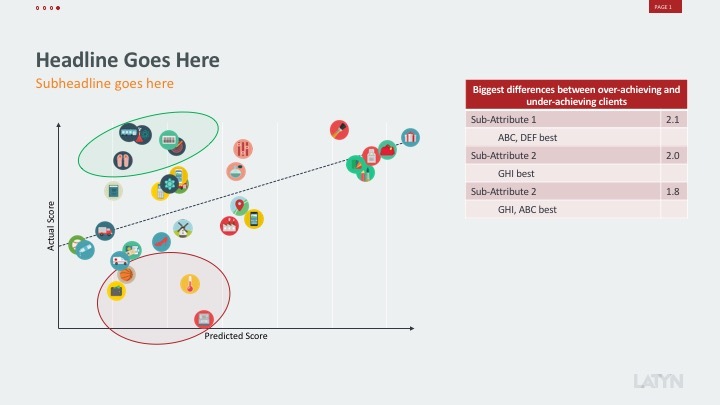 For a more detailed viewpoint on titling slides, particularly where data visualization is the focus, I recommend checking out this entry over at the Evergreen Data Blog. This considerations in development of this slide were emblematic of the deck as a whole. Putting it through its paces in direct collaboration with the client set the tone not just for the design approach as a whole, but also built an immediate working relationship with the client from an analytical standpoint. It showed that I could improve not just the visual appeal of their reports, but the effectiveness and persuasiveness of their data presentation as well. 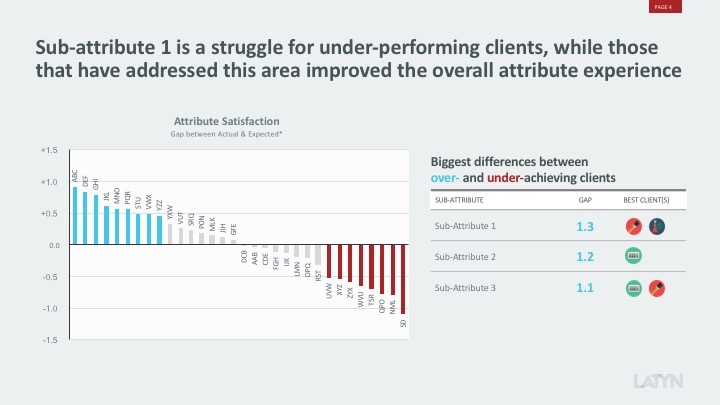 Their client wasn’t shy about their appreciation for the stepped-up approach to their report deliverables, either. You can use the contact form, or drop me a line at scott@latyndesign.com. Success! I'll get back to you as soon as humanly possible.